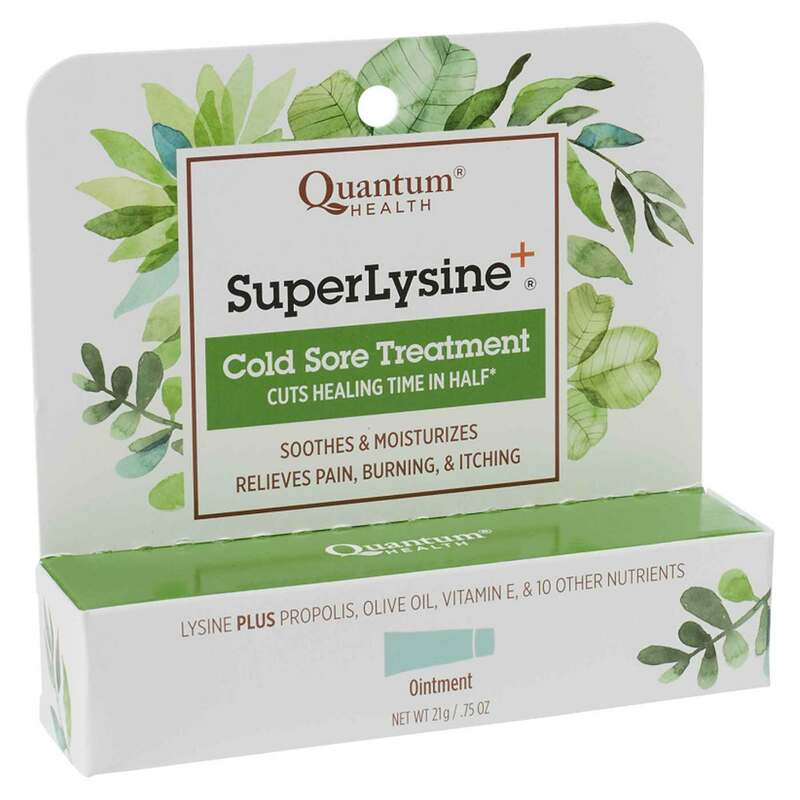 Get rid of that painful and unsightly cold sore quickly with Super Lysine + Cream from Quantum. 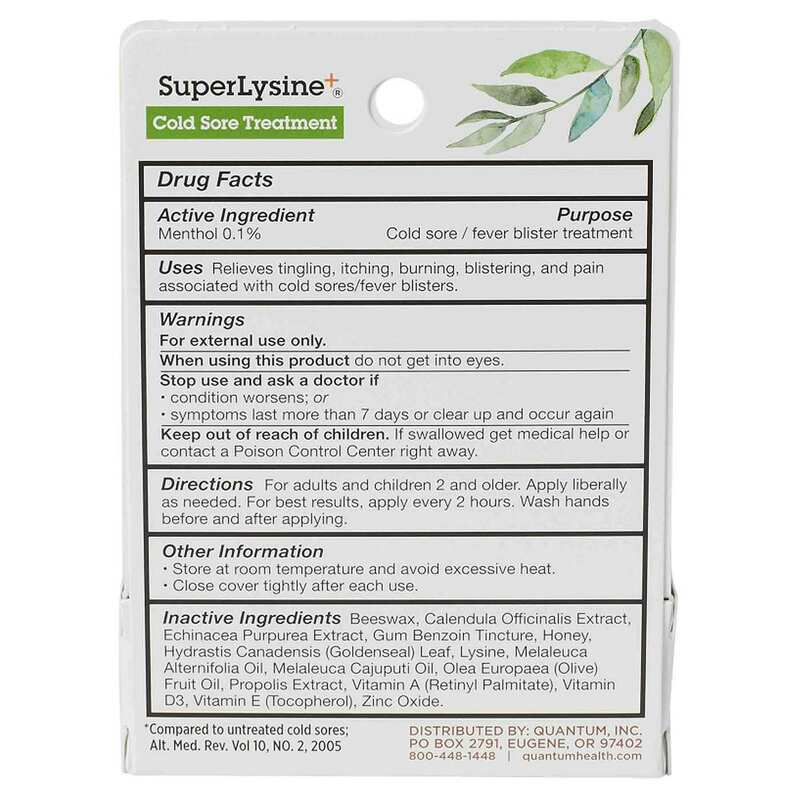 This all-natural treatment contains Lysine, herbs and vitamins that improve your cold sores in a soothing and gentle manner. 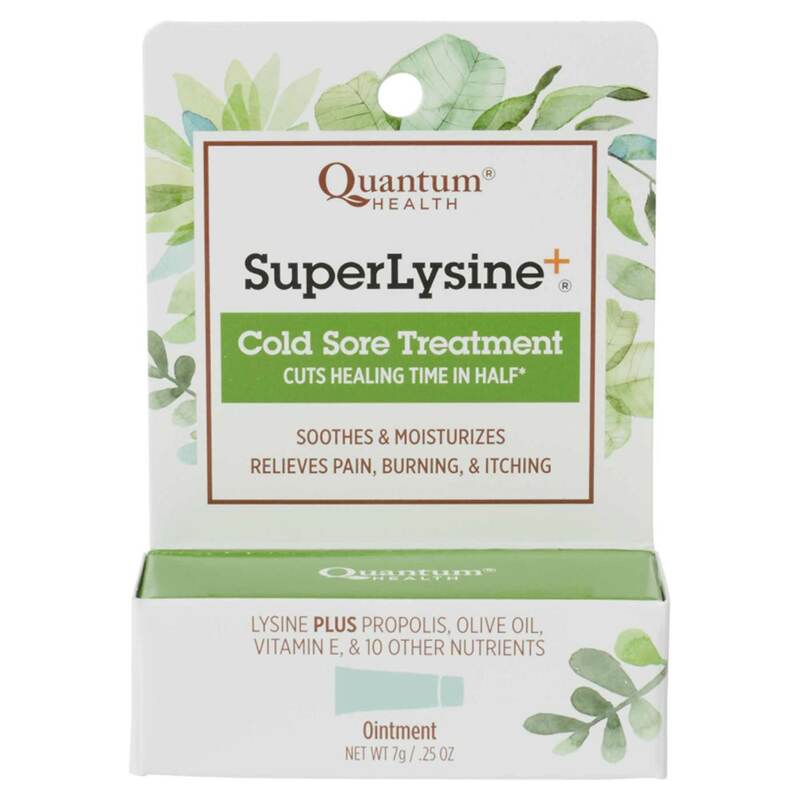 Super Lysine + Cream from Quantum works to cut back healing time and stops painful symptoms of your cold sore, such as itching and stinging. This cream goes on clear and doesn't burn, so you can promote healing in a gentle and mild manner. 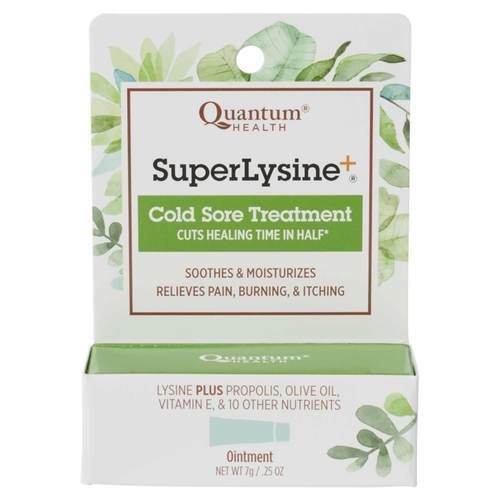 Use Super Lysine + Cream from Quantum to start improving your cold sore right away. Get it today at eVitamins for a great price! Σημειώσεις: Does not contain Petroleum. Inactive Ingredients: L-Lysine, Vitamins A, D and E in a natural base of Olive Oil, Yellow Beeswax, Goldenseal Extract (Hydrastis canadensis), Propolis Extract, Calendula officinalis Extract, Echinacea angustifolia Extract, Cajeput Oil, Tea Tree Oil, Gum Benzoin Tincture, Honey, Lithium Carbonate (3X).